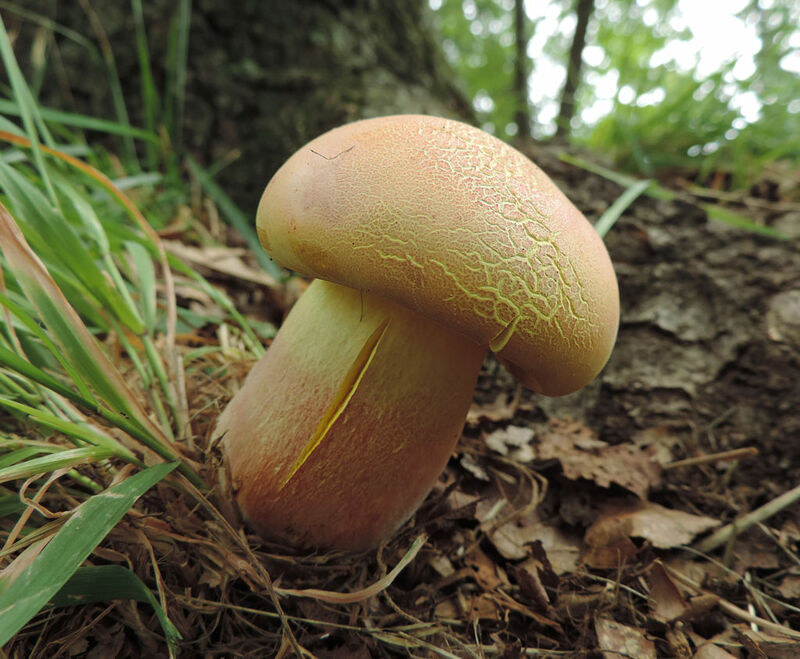 Other common names: Red-and-Yellow Bolete Bright yellow, shallow pores. Stem bright red-and-yellow. Dense texture almost like cutting a semi-firm cheese. Cap also red, or at least red-tinged. Actually a complex of similar species. Some blue very quickly, others don’t at all. Bicolor var. subreticulatus has a well-netted stem.